As the second of 10 children, Paul was born to parents Cletus and Josephine Unterreiner in Susanville, California. He graduated from Lassen High with an award for being one of only a few to graduate with no absences. Four years of high school and no absences — remarkable, dedicated. And that was while he thoroughly enjoyed fishing at Pyramid Lake, even to the tune of leaving right after the school day ended, but never before. One of his proud achievements was supplying many fish dinners for his parents and siblings. After high school, Paul went on to join the Carpenters Union, claiming his inspiration to carpentry was Jesus and his father, Joseph, both known to be carpenters. Another possible inspiration was helping Cletus, his own dad, with a couple of home additions. He traveled to Texas with a friend to check out work there but ended up returning to Reno where he worked as a union apprentice, carpenter, foreman, superintendent and business owner for more than 25 years. Early on in Reno, Paul was active in the Knights of Columbus and liked attending church at both Little Flower Catholic Church in Reno and Immaculate Conception Catholic Church in Sparks. He even helped teach CCD at Little Flower for several years. While in construction, Paul continued enjoying hunting, fishing and reading, He told one of his siblings that on a really good day of chukar hunting he and others could possibly have each walked 25 to 40 miles. Fishing was always nice especially with Pyramid Lake and the Truckee River in his back yard. And he liked reading, sometimes staying up all night to finish a book. One favorite that he wanted to read over was the Catechism of the Catholic Church. Prior to and after retiring, Paul sold live guaranteed Christmas trees from a tree lot he owned in the center of Sun Valley, Nevada. Paul really enjoyed selling the trees (enough to take off from work) as he would get an opportunity to meet and talk with a variety of people, something he enjoyed to his last day. Sometimes he could meet a stranger and by the end of their discussions it seemed they were the best of buddies. Paul was preceded in death by his father Cletus and sister Marette. He is survived by his mother, Josephine Unterreiner; and eight siblings, David, Mary, Alan, Virginia, Ken, Phil, Judy Waybright and Loree Lippsmeyer; along with 13 nieces and nephews; 10 great-nieces and nephews; as well as many wonderful and kind friends. Paul we love you, and we will miss you. We wonder why you seemingly left so soon and we know (to recap one of your favorite sayings) you’d say “God knows, yes only God knows. A Rosary will be held at 10:30 a.m. followed by Funeral Service at 11 a.m. on Saturday, April 13, 2019 at the Sacred Heart Catholic Church, 120 North Union Street, Susanville, California. Burial will follow at the Diamond Mountain Cemetery, Susanville, California. Anna Mae McAndrews, born June 1929, in Susanville, California. She was raised in Winslow, Arkansas and Susanville, California. Anna was to married Fred McAndrews for 51 years until his death. Anna is also preceded in death by her infant son, Fred Gary. She is survived by her children, Geni, Jim (Linda), and Greg; her grandchildren, Julie (Dan), Orion (Deborah), Devd, Sydney, Josh (Michelle), Aaron Porter, Charity (James), Colin-Aaron (Melinda), Tina (Mario), Amanda, Robert Michelle; great-grandchildren, Jet, Ada, Max Zachary, Oliver, a baby boy due September, Landon, Estella, Wyatt, Quinn, Leiga, Penelope, Abby, Sicellia, Hazel, Jackson, Lyra. A true humanitarian, Anna Mae “raised a village” helping numerous families and individuals. This spirit led her to be a co-founder of Lassen Family Services, which continues as a prominent social service provider in the community. Anne Mae enjoyed numerous creative pursuits. She was most passionate about dolls, especially designing and crafting their exquisite costumes. She would research to be sure the dolls she dressed were styled to the period of the doll. She was a member of the American Federated Doll Club and active in the local doll club. She enjoyed the challenge of finding a seriously neglected doll and restoring the doll to its original dignity. Anna Mae’s spirit of love and care will be missed by all who knew her. Services will be held 1 p.m. Saturday April 27, 2019 at the Assembly of God Church. 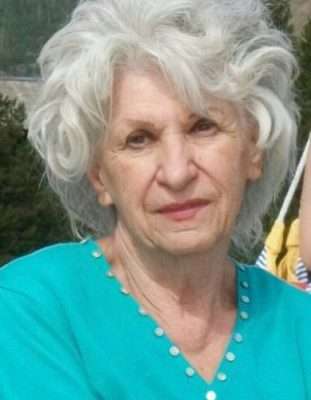 Hannah Wishart Satica passed away at her home in Reno on Feb. 3, 2019. She was 77 years old; her birthday was May 7, 1941. Hannah Olive Wishart was born in Weiser, Idaho, one of four children. Her father, Harry Wishart was killed in the battle of Okinawa near the end of World War II. Shortly thereafter she moved to Reno with her mother, Grace; her brother, Larry; and sister, Mary. Hannah attended Mount Rose Elementary School as well as, Billinghurst Middle School, and Reno High. She graduated in 1959 and attended the University of Nevada, Reno for a year following RHS. Then she married the prominent Northern Nevada sheep rancher, Lawrence Holland. During their time together Hannah and Lawrence Holland lived in both Reno and San Francisco and eventually settled in Susanville where they ranched in the Granite Peak/Smoke Creek area. Hannah earned a pilot’s license and flew throughout the western United States. They also developed commercial real-estate holdings in Susanville and Carson City. Lawrence Holland passed away in 1969. Hannah later married Robert Satica, a Susanville rancher, hunter and outdoorsman. In 1972 Hannah and Bob Satica bought a ranch in Smith Valley, Nevada. On this 400 acres the couple raised their two sons, Drew and Lawrence, along with cutting horses, dogs and the finest alfalfa to come out of northern Nevada. Throughout the 70s and 80s Hannah enjoyed a lot of success competing in cutting horse events. She drove her dually and horse trailer to hundreds of cuttings around the west. 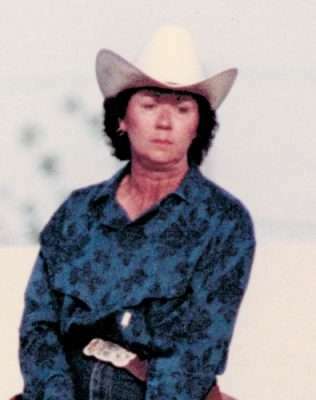 She proudly served on the National Cutting Horse Association board. When she was done with competition, she continued to raise and ride horses for many more years. Hannah and Bob moved to Reno in 2001, and Bob passed away soon after. She continued to live in Reno where she reconnected with friends from her youth. She got to know her four grandchildren and enjoyed vacationing with her friends and family. She had a great love of reading, historical non-fiction was her favorite genre. She also enjoyed doing crossword puzzles, the more challenging the better. Hannah passed away unexpectedly on Feb. 3. She was at home working on one of her crossword puzzles. Her older half-sister, Gracie Grove, passed away in 2001. She is survived by her brother, Larry Wishart; her sister, Mary Wishart Olden; her sons, Drew and Lawrence; and her grandchildren, Benito, Jack, Noah, and Olivia. She was laid to rest in the Masonic Memorial Gardens in Reno, Nevada. A celebration of her life will be held in Reno on April 27, 2019 at Lake Ridge Golf Course in the 19th Hole Banquet Room. 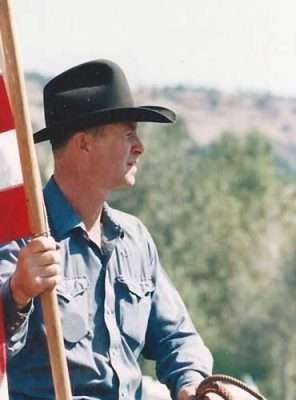 The event will take place between 3 p.m. and 8 p.m.
Patrick William Lee was born August 5, 1947 to George P. Lee and Leslie A. Lee (Warren) in The Dalles, Oregon; he passed away Feb. 8, 2019 in Reno, Nevada. He was raised in Fossil, Oregon until 1963. His parents moved Patrick and his siblings to Goldendale, Washington where he graduated from high school in 1965. Patrick went to Yakima Community College for a year and worked for Frank Beard. He then enlisted in the Marine Corps in 1968. While stationed at Camp Pendleton, Patrick became interested in saddle making from his great uncle Wade Warren, a saddle maker for Visalia Saddlery. This would shape his life from then on out. 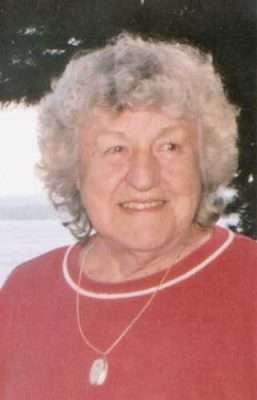 Gracia Elvira Hoehn, 88, passed away on March 11, 2019 due to respiratory failure in Reno, Nevada. She was born Nov. 17, 1930 in New Jersey, to Frank and Elisabeth Toth, who immigrated from Hungary. Gracia married Howard Hoehn in 1948 and they moved to California. She had five children: Jan Hoehn (Tess), Gail Kisbaugh (Darryl). Karen Sanders, Howard F. Hoehn, Eric Hoehn (Rhemie). She was preceded in death by her father, Frank; her mother, Elisabeth; her husband, Howard; and her son; Howard F. Hoehn. Gracia had five grandchildren she adored, Chris Taylor, Daisy Hoehn, Heather Hessler, Sydney Hoehn, and Paul Hoehn; plus three great-grandchildren. Gracia lived a full life. She enjoyed working at several school districts, the Diamond Mountain Casino office, and the Lassen County Arts Council. She was a longtime resident of Janesville, California. Gracia loved painting and working in her yard, and making pies for family, friends, and neighbors. She loved to travel, seeing the country and visiting the national parks, which was her favorite inspiration for her many oil paintings. Gracia was a great artist that has gone to paint the heavens. She will be dearly missed and forever in our hearts. A memorial service will be held at 1 p.m. Sunday, April 14, 2019 at the Southern Baptist Church (Log Cabin), 456-012 Main Street, Janesville, California. Winnifred L. Hart resided at Lakeside Drive in Susanville, California. At the age of 92, she died from complication of a bladder infection March 31, 2019 in Banner Lassen Hospital in Susanville, California and is survived by Vernon Hart. She was born on June 9, 2019 in Sage, California. Winnie worked for Douglas Aircraft Company as a riveter in 817 parts during WWII. She was a machine operator, packaging gum in Santa Cruz, California. She loved the outdoors and was a very great fisherman, who generally caught the big fish. All who knew her will miss her warmth and comfort. She will have a private service where she grew up in Southern California. Charles Truett Miller was born Feb. 25, 1936 in Retrop, Oklahoma, to Charles Nelson Miller and Leta Durland. He was the seventh of seven children. When he was a young boy, during the depression years, his family moved to Bakersfield, California. He attended Bakersfield High School. Chuck served four years in the Air Force and was honorably discharged Feb. 1, 1965. Shortly after being discharged, two Air Force buddies, Mallard Blackburn and Jim Rolfus, and Chuck built a small houseboat and rafted down the Mississippi River. Chuck then settled in Bakersfield again where his family lived. Chuck started working for the state of California with the Department of Water Resources. He helped survey the northern portion of the California Aqueduct. During this time he met Janice Crow, and they married Aug. 12, 1966 in Bakersfield. Chuck transferred to Caltrans, and they moved to the Bay Area in 1968, living in the Concord/Martinez area. He commuted to San Francisco where he helped design freeways. He worked there for about 10 years. He then transferred to the Employment Development Department and moved to Janesville and worked in Susanville. He attended the Susanville Assembly of God church. He was a deacon, sang in the choir and taught adult Sunday school. He became involved in the prison ministry where he led Bible studies for the inmates. He was involved in the ministry for several years. In 1999, after retirement, he began attending the Honey Lake Valley Assembly. He taught 10- to 12-year-old boys and girls in Sunday school, and again served as a deacon in the church. He also was one of many men of the church to help build Honey Lake Sanctuary. Chuck enjoyed being with his family, hunting, fishing, working on various projects and motorcycling. He and Jan traveled to Yuma, Arizona, as snowbirds upon retirement for several years. 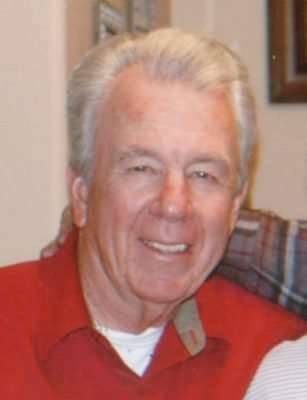 He is survived by his wife of 52 years, Jan; son, Blaine (Penny Miller); sister, Juanita Wyatt, of Bakersfield, California; brother, Darrell Miller (Marge Miller), of Deming, New Mexico; and numerous nieces and nephews. 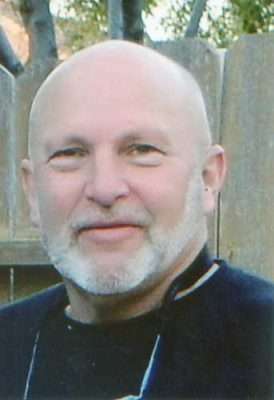 Celebration of Life service will be at 1 p.m. Saturday, April 13, at Honey Lake Valley Assembly, 464-905 Buntingville Rd. Janesville, California. Please wear bright colors. In lieu of flowers, donations may be made to Honey Lake Hospice, P.O. Box 1166, Susanville, CA. 96130.